The right tie can make your outfit unforgettable. Color, style, material, and pattern lets you customize formal suits and tuxedos to show your personality. With a collection of high-quality ties, you can make one suit work for most of your formal occasions. A well-made tie is an investment. Keep your collection looking sharp longer with proper care techniques. Ties are made of thin, delicate material. Pulling and yanking stretches the fabric, leading to tiny tears that warp the shape. A stretched-out accessory frays, bunches, and bulges unattractively. Use a little caution when removing and storing your tie to avoid damage. Take your time. It’s tempting to rip the thin strip of fabric through the back of the knot. This method is quick and easy, but it stresses the fabric and destroys the stitching. Instead, reverse the steps you used to put the tie on. Don’t pull or force the knot. Remove all knots before storing. Your tie will form a permanent crease if left knotted. Invest in a storage unit. Hang your items in a tie rack to keep them clean, organized, and easily accessible. If space is an issue, carefully roll your ties and place them in a pocketed tie organizer. Soft-sided organizers with multiple compartments often come with clear vinyl covers so you can see your collection without needing to open it. In a pinch, lay your tie across the back of a chair or a coat hanger. Pieces made from cotton, wool, and polyester blends can warp if left to hang too long. It’s okay to hang them temporarily, but these should be rolled for long-term storage. Silks and other light fabrics, on the other hand, actually benefit from hanging during long-term storage. These quick, simple steps will add years to your accessories’ lives. A wrinkled tie will get you noticed for all the wrong reasons. Take pre-emptive action to avoid them. If not, there are safe ways to remove wrinkles without ruining your item. Loosen the knots when you wear your ties to avoid wrinkles when you take them off. Hanging or tightly rolling your tie after wear guarantees no wrinkles. Your item shouldn’t be stored with other clothing since rubbing and pressure can cause wrinkles. Use steam to gently work out unavoidable wrinkles. Hang your tie in the bathroom before your morning shower. 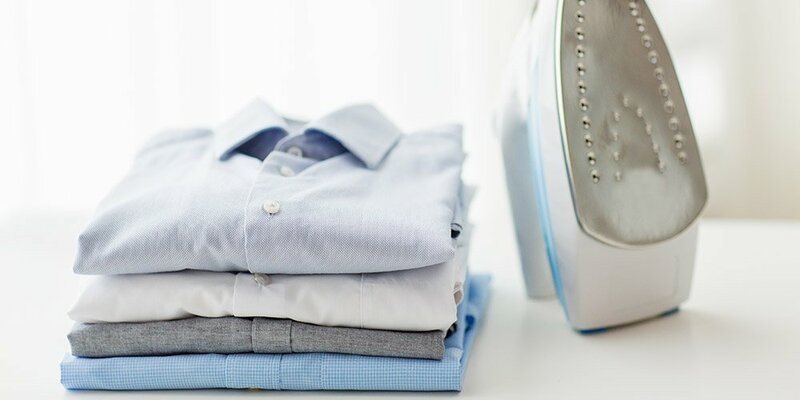 For deep creases, a steam iron on low heat works. Pull the tie taut and direct the steam along the length of the tie for several seconds. Don’t let the hot metal touch your item. Even low temperatures can scorch delicate fabrics. Roll your tie tightly to lightly stretch the wrinkles from your garment. This method works best if you can leave it at least overnight. Avoid using spray starch or other fabric conditioners on your tie. These heavy sprays can leave stains that are almost impossible to remove. Wrinkles are no reason to panic when you know what to do! Tossing your tie in with your regular laundry is the quickest way to destroy the stitching, shape, and fabric weave. Placing it in the dryer is a close second. Use a soft hand on your important accessories for best results. Always blot, never rub. Use short, firm dabbing motions with a damp cloth to remove dirt. Spot-test any cleansers on the hidden side of your item. Different chemicals can break down dyes, causing discolorations that make your tie unwearable. Do not submerge your tie in water. It will never regain its shape. If you get a stain, clean the whole tie. Heavy spot treatments can cause unsightly fading that actually draws more attention to spots. Different stains require different treatments. Use seltzer water to remove water-based stains. Sprinkle baby powder on oily stains to lift them out. Deep stains may need professional help. If you can’t remove it, take your item to a dry cleaner. When your ties are clean and stain-free, they will always be ready when you need them. Ties are the ultimate suit accessory. They let you change your style with little effort, extend your wardrobe options, and express yourself without breaking the rules of formal wear. Take care of your items to enjoy your collection for years to come.